A blog from bookmarkpeople.com – Your message… at the heart of the community. April – spring is in the air! 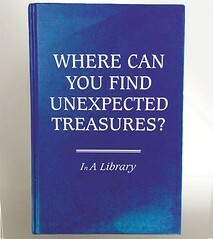 Who knows where a book might take you? Your wellbeing! #LoveLibraries… …better than chocolate! Reading is good for you!